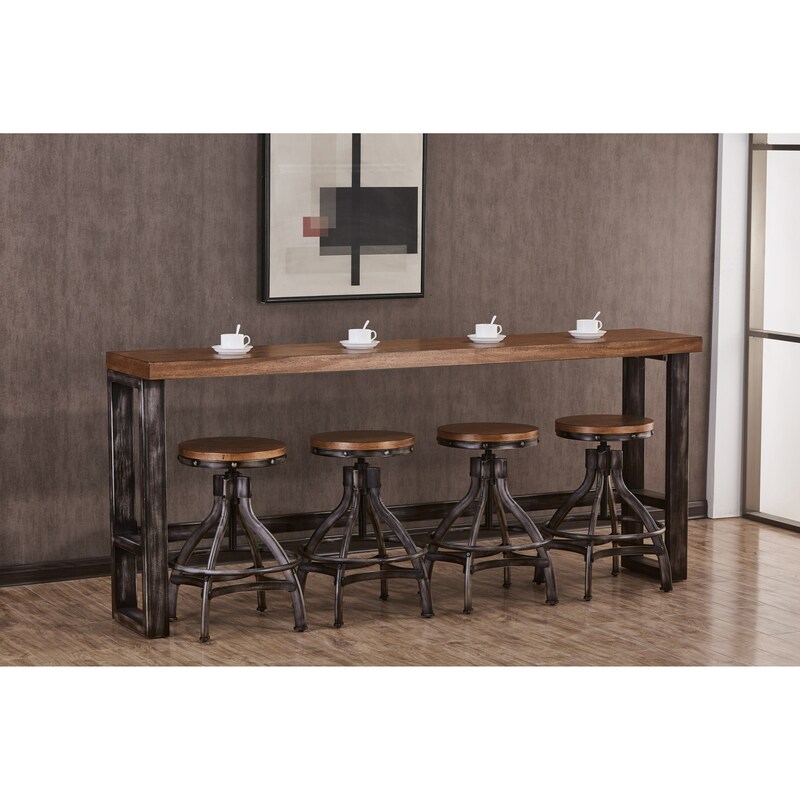 Featuring a mix of wood grain and aged metal texture, this sofa bar table will add modern industrial details to your home. This table can be placed along the back of your sofa and paired with bar stools to create additional table seating in your living room or den. The Chandler Contemporary Industrial Console Table by Simmons Upholstery at Royal Furniture in the Memphis, Nashville, Jackson, Birmingham area. Product availability may vary. Contact us for the most current availability on this product.